Drive-up or walk-up? Those are the primary options you’ll want to consider as you pick a storage unit. Many facilities allow you to drive your car right up to the unit. That makes unloading and loading a breeze. For smaller amounts, you could consider a walk-up storage. Just make sure the facility has an elevator. Don’t hesitate to shop around. 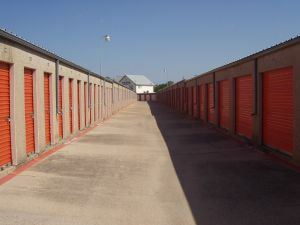 You’ll find that storage facilities are often grouped together because of zoning laws. This means you can shop for a bargain but stay within your preferred location. If you don’t need constant access to your items, you could even go further away for cheaper prices. Be on the lookout for units that have climate control and security cameras everywhere! If you already have a unit, you might want to think about downsizing. Are you holding onto items that you know you’ll never use again? Why keep them in storage? This is where a company like Junk King can be a huge help. They can provide an easy storage unit cleanout that will help you get a handle on what you should be keeping and what can be tossed out. When it comes to the issue of drive-up or walk-up, Junk King is happy to go both ways! The Junk King crew will gladly climb stairs or pull up to any location. It is important with your Junk King storage unit cleanout that you have a good idea of what you want to get rid of before the crew arrives. Even though you’re not going to be paying any labor costs, you still don’t want to keep them hanging around. Of course, just because Junk King is going to be pulling right up to your unit, doesn’t mean you have to move anything out of there. Leave the heavy stuff right where it is and the Junk King crew will take it from there. After Junk King has completed your storage unit cleanout, you can direct them back to your home or business to continue the decluttering. Surely, you have some bulky items or pieces of e-waste that could be tossed out from your other property. As long as you have the moving crew and truck, why not put them to work? Once all of your junk has been loaded, you’re free to go back to your day while Junk King will be heading off to the closest recycling center or charity for a drop-off. Storage unit cleanout and home decluttering isn’t complicated when you hire Junk King from the start. This entry was posted in Albany Storage Unit Cleanout on July 30, 2014 by Todd Porter. Last updated August 1, 2017 . When it comes to throwing out stuff, there are some items that are required to be tossed out. This would be all the expired foods left on grocery store shelves or from restaurants. However, just because something is expired doesn’t mean it’s not edible. It’s kind of like when your fuel light comes on in your car. You can still squeeze out several more miles before you have to get gas. To prove the point about expired food still being viable, a group of foodies down in Brooklyn have set up the “Salvage Supperclub.” The menu features all the food found while dumpster diving for those expired items. It’s served up in a retrofitted dumpster that seats 16. This is all about finding away to rethink food and what is wasted. Expired food is one thing. When it comes to the clutter around your home, there is really no need to hold onto that stuff. Think it’s too hot to toss out junk? Actually, when you hire Junk King for your junk removal project, you won’t even break a sweat. That’s because Junk King does all the work for you. That includes hauling out any size item you want removed from your home. 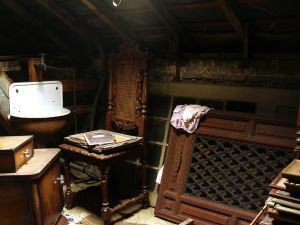 It doesn’t matter if that item is a piece of furniture from your basement or a chest of drawers from your attic. Just tell the Junk King crew what you want taken away and they’ll make sure it’s gone for good. When you get rid of the clutter in your home, you’ll definitely notice an improvement. Not only will you have more space, but the entire energy of your house will shift. You won’t be embarrassed to have friends over or to open your garage door in front of the neighbors. It’s time to take back your house from the junk. A junk removal appointment with Junk King is the way to go. This entry was posted in Junk Removal This Summer In Albany and tagged Junk King, junk removal on July 18, 2014 by Todd Porter. Last updated August 1, 2017 .